Image used with permission from the Faith and Health Connection. Health equity is achieved when every person has the opportunity to attain his or her full potential and no one is disadvantaged from achieving this potential because of socially determined circumstances. With advancing health equity, the goal is to reduce and eventually eliminate inequalities and disparities so all can achieve optimal health. 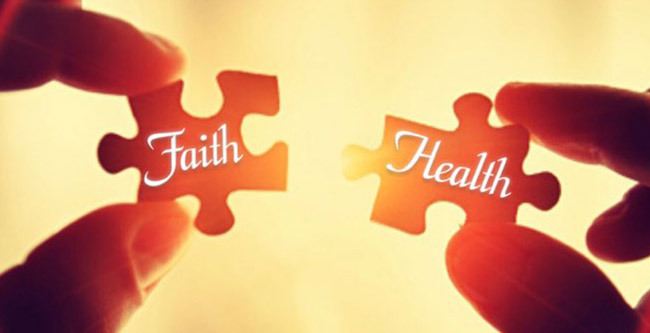 The Meharry-Vanderbilt Alliance (MVA) and Nashville Health Disparities Coalition “Faith-Based Health Equity Awards” recognize and celebrate faith-based organizations that have successfully promoted health equity. The awards also recognize community-based organizations that have successfully collaborated with the faith community to promote health equity. One way to achieve health equity is to address the social determinants of health, or the characteristics of where we live, work and play that impact health. Examples of health equity focused programs include education, tutoring, job preparation, literacy, transportation, hunger/food security, criminal justice and affordable housing. Initiatives may also focus on racism and racial justice. Examples of programs focused on achieving optimal health and well-being may include initiatives focused on mental health/substance abuse, health care access or health promotion/disease prevention. Priority will be given to initiatives that promote positive youth development. Successful awardees will demonstrate how their work has been sustained over time. Awardees will receive a $1000 prize and will be recognized at the Faith and Health Summit Luncheon on Friday, May 17, 2019, 11:30AM at the Matthew Walker Comprehensive Health Center | Multipurpose Room 1035 14th Avenue N., Nashville, TN 37208. Up to four awards may be presented. The MVA Communications team will create a press release for local media and profile awardees in the MVA communications outlets and on social media. Make a Nomination Anyone can make a nomination: congregational leaders, congregants or community members and community partners familiar with the work of the congregation and/or the partnership of the church with a community-based organization. Given the focus of these awards on positive youth development, we encourage collaboration with youth or youth ministry leaders in making a nomination and submitting an award. Priority will be given to nominations that clearly engage youth in the nomination process. These awards are inter-denominational. Print & Mail: Using a printed application form, respond to the questions in the application. Printed nominations should be mailed to the address below or emailed to jacquelyn.s.favours@meharry-vanderbilt.org. Share Supplemental Materials Please upload any supplemental materials (e.g., photos, supporting documents, brief video clips, etc.) and other documentation of achievements and contributions. Attend Awards Presentation The Faith and Health Awards Review Committee will review nominations. Awards will be announced at the Faith and Health Summit Luncheon on Friday, May 17, 2019, 11:30AM at the Matthew Walker Comprehensive Health Center | Multipurpose Room; 1035 14th Avenue N., Nashville, TN 37208. Please contact Jacquelyn Favours at jacquelyn.s.favours@meharry-vanderbilt.org or call 615.963.2817. If you are interested in serving on the review committee for the awards, please contact Jacquelyn. We encourage youth to serve on the review committee. Applicants must be non-profit organizations. Awards will be made to faith-based organizations that are nominated or apply. Priority will be given to faith-based organizations featuring programs that promote positive youth development and resilience and also that involve youth in the nomination process. Involving youth in the nomination process may include youth creating video clips for submission or leading the work described in the application, etc. Awards will not be made to individuals. Applicants must be based in Davidson County. Applicant organizations must have a representative present at the Faith and Health Summit Luncheon being convened in Nashville, TN on May 17th, 2019 to receive their awards. Applicants must have successful efforts focused on improving outcomes for groups most affected by health disparities or improving things where we live, work and play to impact health. Priority will be given to faith-based programs that focus on youth. Applicant efforts must have been implemented within the last two years from the deadline for receipt of award applications. Applicants must have partnerships in place with community organizations, health care systems, community leaders or academic institutions if noted within in application. Applicants must describe how their work has been sustained over time. Previous Faith-Based Health Equity Awardees from 2017 and 2018 may apply, but the program featured in the application must not have been not included in a 2017 or 2018 nomination. Priority will be giving to new applicants who were not previously funded. The Faith and Health Planning Committee will review all nominations. Awardees will be notified by April 26th, 2019. On average, how many members attend any one service on a regular basis? Please specify the age range of the youth served by the program or resource being nominated (if applicable). Describe how youth were involved in the nomination submission and how they are involved in the program, beyond being participants. *Please limit supplemental materials to no more than five photos, two supporting documents or a video clip of (3) minutes (180 seconds) or less. Please contact Jacquelyn Favours at jacquelyn.s.favours@meharry-vanderbilt.org or call 615.963.2817.